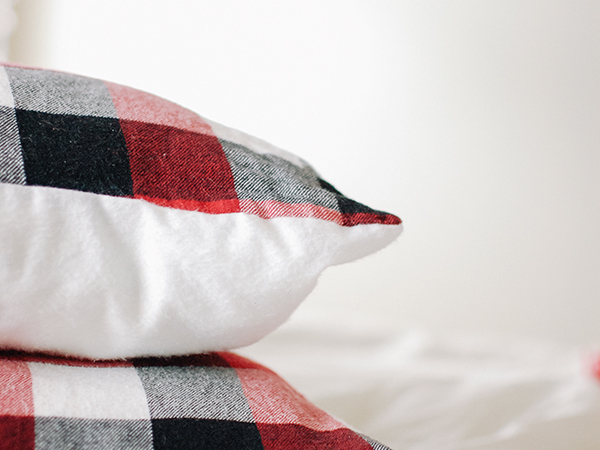 I kept thinking how cozy some plaid, flannel pillows might be this winter, so I made a pair over Christmas break. Aside from clumsy measuring skills (I was one panel short of the plaid - luckily Q's mom had plain white on hand to use for the back sides), these are the simplest of all things to sew. They're definitely cozy! 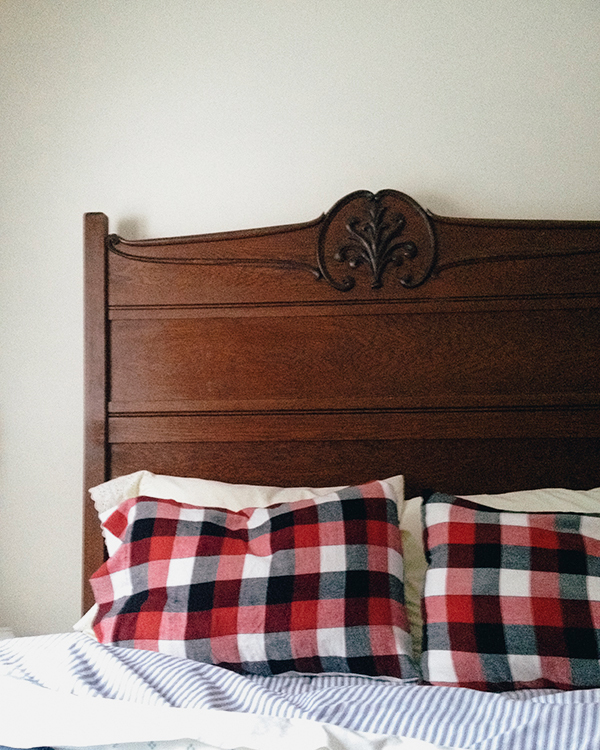 And look almost as nice on our bed at home as they did on this antique beauty at his parents' house. So classic. So awesome. Love. Very cozy. And I love that headboard! With all the snow the northeast in the U.S. are going to get I could definitely use some flannel anything right now! =) Very cozy! Ohh I keep saying that we need to buy some really great extra pillowcases to spruce up the bed... maybe I should make some! Such a good idea! oooohhhh i love these, how cozy and pretty looking. I think these are so sweet. Do you sew often? This is so perfect for the winter months!